Very cool, but they’re out of stock. They ship late July. So, too late for my vacation. Bummer! I also have the Lifeproof case and I love how sleek and sturdy it is. I’ve gone surfing with it, dropped it in a sink of water to see how my daughter would freak out. I think it’s less bulky than this one, too. I had a Lifeproof that lasted about 2 weeks, fortunately I noticed the crack before I put my phone in water. Received my Scuba Suit and am loving it! The case feels substantial and I have confidence bringing it in the water and I don’t have to mess around with little screws and cords to use the earbuds while I’m chillin on the tube in the lake while I’m having a cold one. 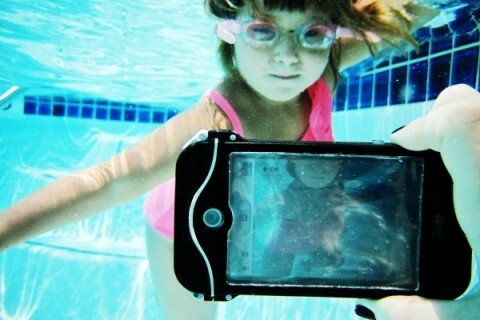 The best part is it’s $40 cheaper than the Lifeproof. No brainer! How deep can it go.